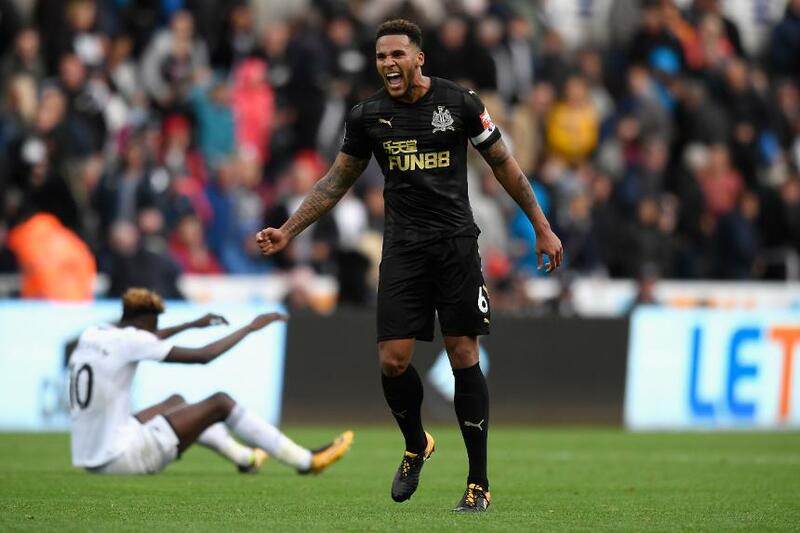 Jamaal Lascelles was the hero at both ends as Newcastle United claimed a 1-0 victory at Swansea City. The 23-year-old captain produced a stunning clearance on the goalline to stop Tammy Abraham's effort on the hour mark and 16 minutes later he rose highest to powerfully head home Matt Ritchie's corner. Newcastle, whose manager Rafa Benitez was absent recovering from an operation, edged the opening period, goalkeeper Lukasz Fabianski superbly saving Joselu's header. The home side did have a great opportunity to take the lead only for Alfie Mawson to put his header just wide. Swansea responded in the second period with Tom Carroll and Luciano Narsingh forcing stops from Rob Elliot but the Magpies defender's header proved decisive. The Magpies are in 10th place after two wins in two matches, Swansea are in 15th place, four points off the bottom three.